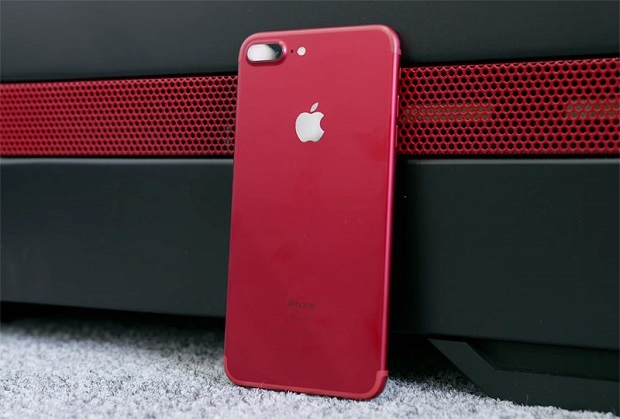 The #Apple #iPhone7Plus is one of the best iPhone models that you can get in the market today. Sporting a 5.5 inch screen and the latest A10 processor apps and games run smoothly on this device. One unique feature to this phone model is its dual cameras. One camera uses a wide angle lens while the other camera uses a telephoto lens that allows the phone to do a 2x optical zoom. Then there’s also the portrait mode available for the camera that allows the user to take great depth of field shots. While this model is quite stable there are instances when certain issues can occur which we will be addressing today. In this latest installment of our troubleshooting series we will tackle the iPhone 7 Plus no Internet connection when connecting to Wi-Fi issue & other related problems. Problem: Recently my iPhone 7 plus (and my wife’s iPhone 7) have been experiencing problems with WiFi internet access. They connect fine to WiFi but, at home, many apps report no internet connection. We can use Facebook but if you click on a link the link will not load. Safari does not access the internet. Some email accounts work and some do not. Our phones work fine on other WiFi networks. Solution: If the issue only occurs when you connect the phone to your home Wi-Fi network then the problem could be on the router side. Listed below are the recommended troubleshooting steps for this particular problem. Go to the phone Wi-Fi settings then forget your Wi-Fi network.Restart the router and your phone. Once both devices have started try connecting to your Wi-Fi network then check if the issue is resolved. Make sure that your Wi-Fi router is using an updated firmware. Make sure that your Wi-Fi router SSID has a unique name and not the same as a network nearby as this will confuse the phone. Make sure that the MAC address authentication filtering of the router is switched off. Use WPA2 Personal (AES) security on your router. If the issue still persists then you might need to contact your ISP regarding this matter so that they can check your Internet connection. Problem: I have an iPhone 7+ and randomly it stopped connecting to wifi. I haven’t even had it for 1 year. My other coworkers can connect to the work wifi and I cannot. I am using all my data and it’s not ok. Solution: Since other devices can connect to the Wi-Fi network without any issues then let’s proceed with troubleshooting the phone. Try force restarting your phone first by pressing and holding the power and volume down key until you see the Apple logo. Go to the Wi-Fi setting of your phone then forget the network. Rejoin the network afterwards. Try resetting the network settings of your phone. This lcears the cache and DNS setting of your phone. To do this go to Settings > General > Reset and tap on Reset Network Settings. Try to disable the Wi-Fi Networking Services and see if this helps. You can access this from Settings > Privacy > Location Services > System Services. If the above steps fail then you should consider restoring your phone and setting it up as a new device. Make sure to backup your phone data before doing this. Solution: If your iPad can connect to the network without any problems then the issue could be on the phone side. Try to perform the troubleshooting steps that we have suggested for the problem we have answered above. Your last option would be to restore your phone as a new device. Just make sure to backup your phone data before restoring your phone. Problem: Brand new iphone7+ connects to wifi on my router … a router which is working fine for other products in the house .. and in about an hour, the iphone tells me the wifi connection has no internet access…. yet, hard wired products tell me all is well, and other wifi connected products are fine. Yes, I did the reset network thing .. hard restarted the phone … and may have tried a voodoo spell on it, too. Any thoughts? Solution: Since the issue appears to be affecting your phone only then you should consider restoring your phone and setting it up as a new device. Make sure to backup your phone data before performing this step. Once complete do not install any apps in your phone yet. Try to observe first if the problem still occurs. If it does then you should have your phone checked at the Apple Store.